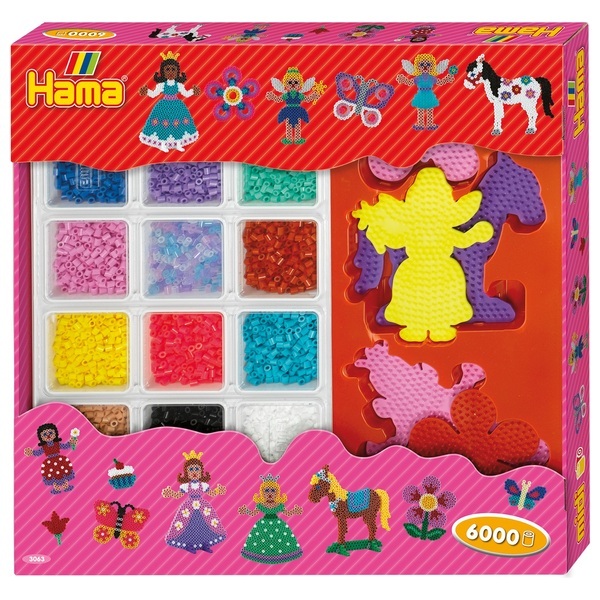 Create endless designs with this giant gift box from Hama Beads, containing over 6,000 beads! Use either the princess, horse, butterfly, flower or fairy pegboard included to create fabulous designs, by following the colourful design sheet! Alternatively, you can go freestyle, and create your own wonderful designs the possibilities are endless! Simply place the beads onto the pegboard and iron the design with the ironing paper included to create a permanent masterpiece! Once you have finished play, the convenient storage tray and lid makes tidying up time takes no time at all!